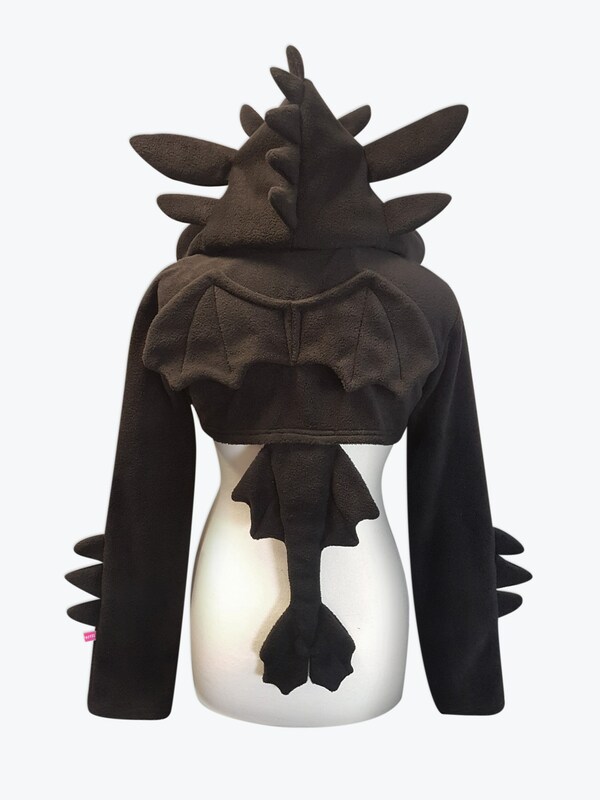 With this cute fleece hooded shrug you can cosplay a black dragon! 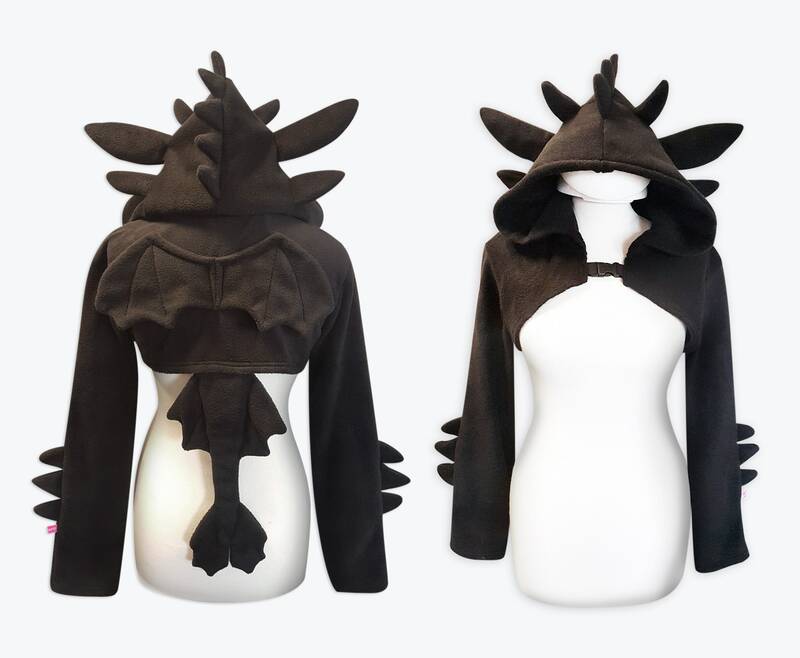 The shrug is soft and features cute 'ears' and spikes! The spikes are stuffed but not wired. Therefore they are super soft. 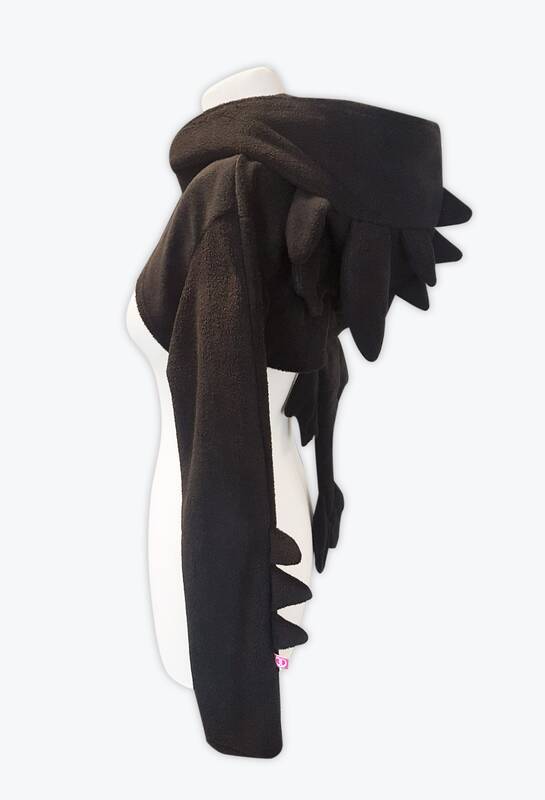 The shrug also has little wings. 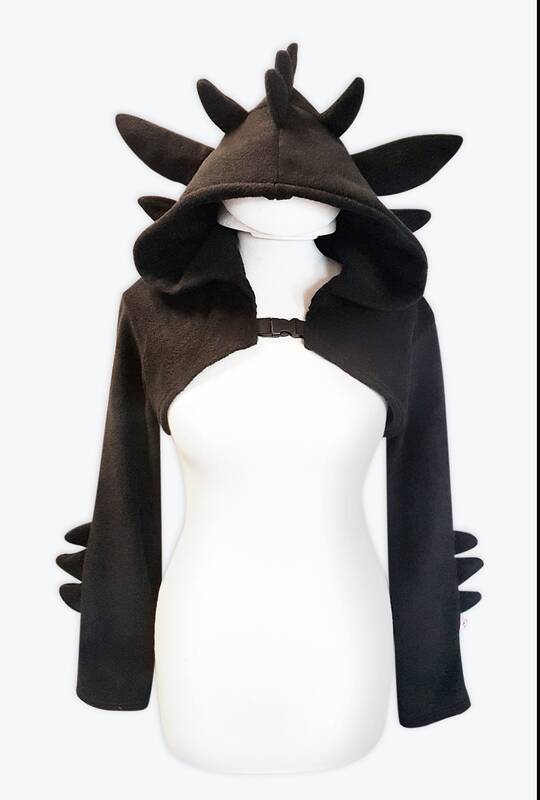 The hood is lined with an extra layer of fleece which makes is extra snuggly! 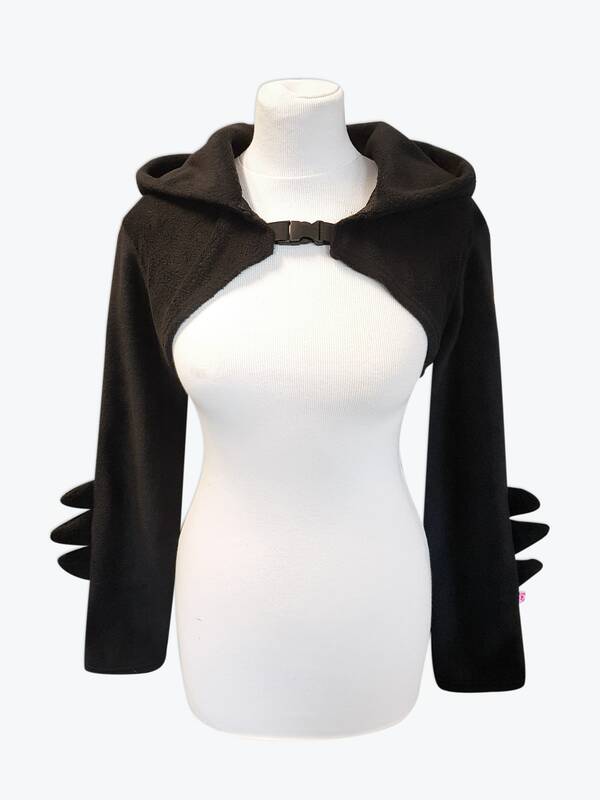 The shrug closes in the front with a clip buckle. 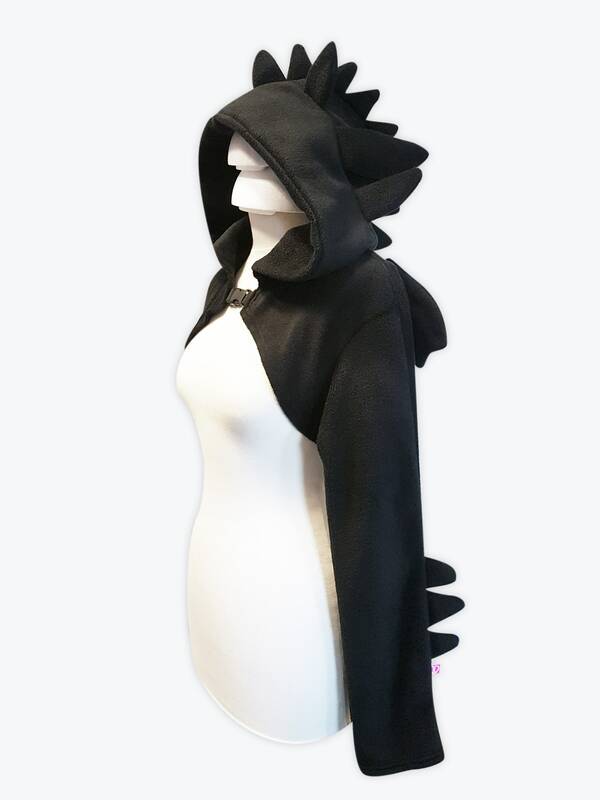 This vest is great to wear whenever you want, for example to an anime convention, cosplay event or gothic festival. 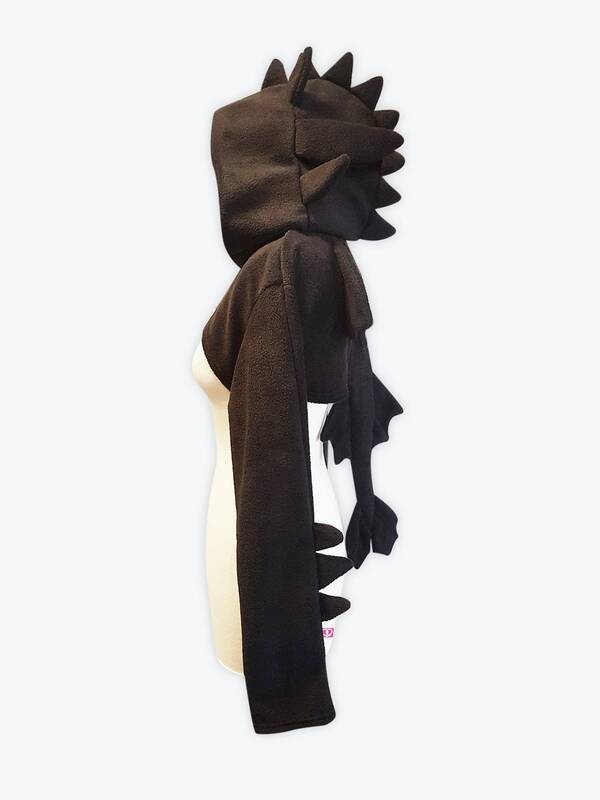 The shrug is made with a stretchy material. The shape of the garment is high in the front (above the bust). This makes this style suitable for a bigger bust and also for smaller busts. There are 3 different sizes to choose from. Since the material is stretchy, it can fit more sizes! If you are doubting between two sizes, then ask yourself this question: Would you like to wear it snugly or would you like it to fit more loosely? If you chose the first, then pick the smaller one and if you chose the latter, then pick the bigger one. In the dropdown menu you can pick your preferred size: XS-S, M-L or XL-XXL All sizes are womens sizes.